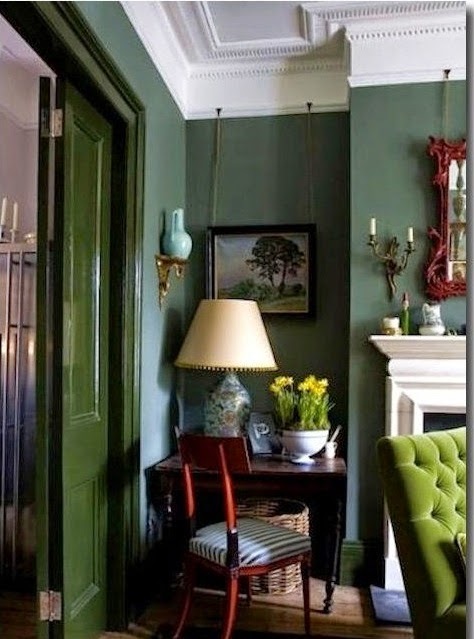 The Relished Roost: Color Combination Crush! I have been couch bound for two days! I think a virus hit me because it came on all of a sudden and knocked me out immediately. Thus, magazines became my best friends when I wasn't sleeping. I loved the Special Issue of In Style/Your Look for Fall. It had great tips for hair, skin and clothing. 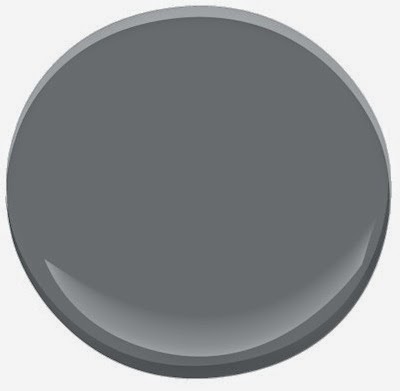 I loved the color combination pages of clothing options and one in particular became my instant crush, it was the Cypress/Navy/Steel Gray combo. Yes this color collaboration has me totally intrigued. I would love the chance to put it to use in an interior space. I found some examples that are close but could be tweaked a bit to fit this crush. What are your favorite color combinations these days, I would love to know! Tell me and I will post about them next week. Have a great weekend and stay well my friends. 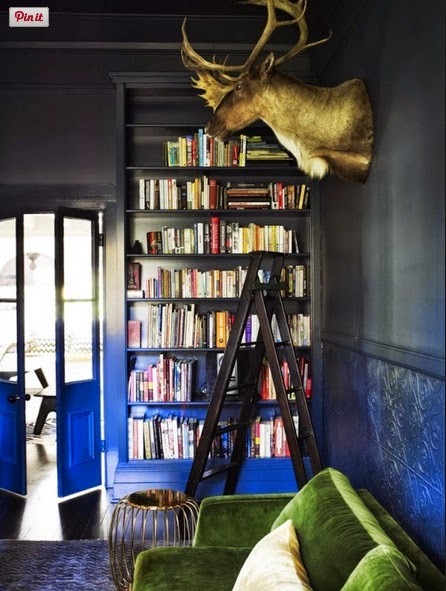 Add a touch of gray and a navy chair here and this could be my crush! 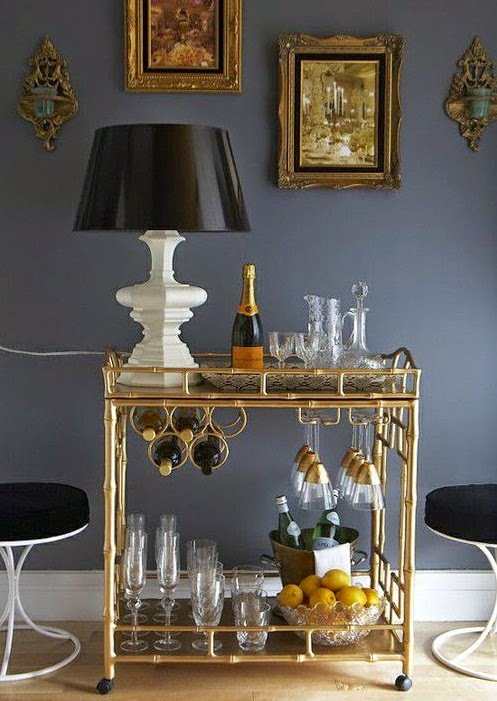 Love gray walls, add some green in the art work and navy stools and its a winner! I love the black walls with the white frames...Ive always wanted to do that! 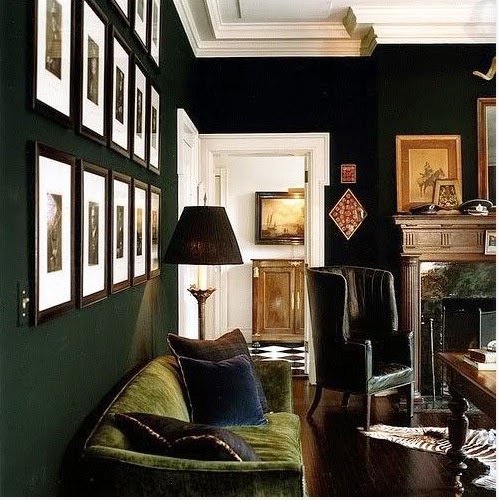 Karolyn I am loving the rich dark gloss walls! 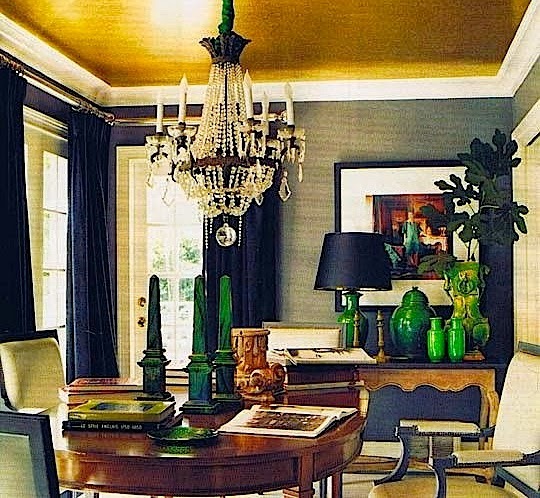 The dining room with the emerald green accessories thrills me! I am loving all the velvety goodness in almost all the pictures! Sorry you're not feeling well, Karolyn. I hope you get some rest and are feeling better real soon. I love this color combination. I would have never thought to combine the three, but they look so good together. I'm thinking about fall outfits for my son. These colors will do. So hope you are feeling better today so you can get out there and enjoy this gorgeous weather! 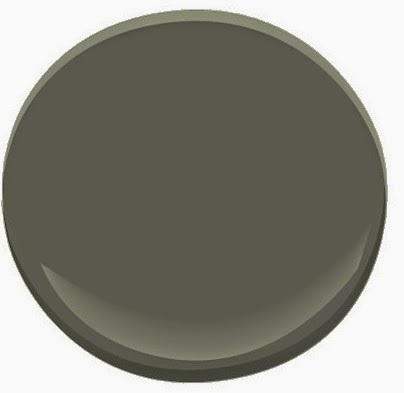 Loving the colors especially the dark olive/mossy green its so luxurious! Have to think of a way to 'work it in" somewhere:) Feel better!! 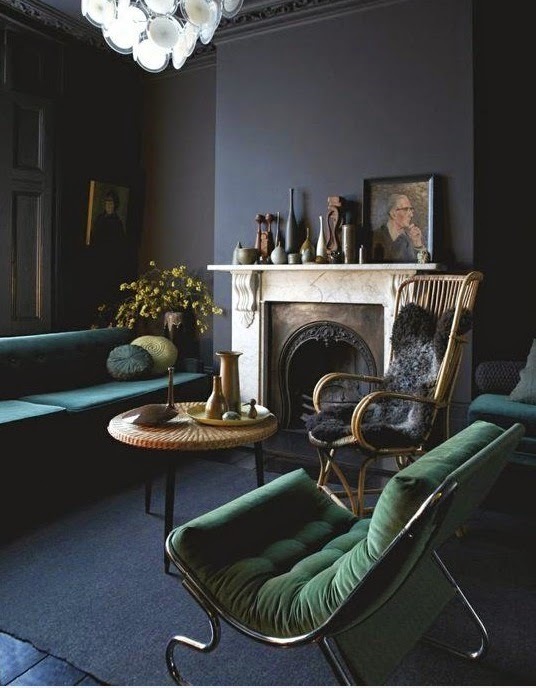 I am in love with that color palate, especially the dark olive. 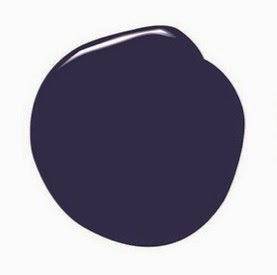 Such a pretty shade. Hope you feel better soon! Have a lovely weekend. Hope you are feeling better! Funny, when I am not feeling well, I just want to crawl into a deep and moody space like that with rich olives, deep blues and grays. It reminds me of being in a forest or in the woods. Hope you feel better xoxo! I love the pics but not sure how I feel about olive yet!! will keep an open mind! !